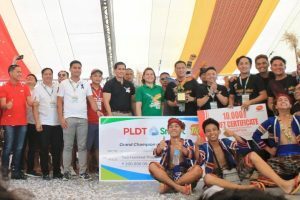 Phoenix Petroleum joined Davao’s most colorful celebration, the Kadayawan Festival, as the event’s silver sponsor this year. 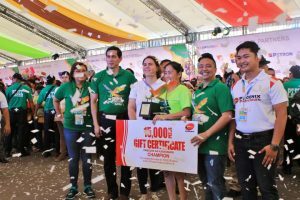 In addition, winners of Hiyas ng Kadayawan, Indak-indak sa Kadalanan, and Pamulak sa Kadayawan received Phoenix Premium 98 fuel cards as special prizes. 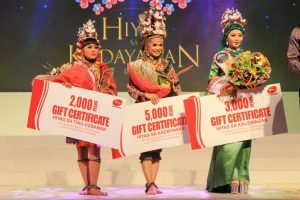 The Hiyas ng Kadayawan is Davao’s annual beauty pageant in search for indigenous women who are not only beautiful and talented, but are knowledgeable of the city’s native culture. Jenin Puroc Aguan of the Bagobo Tagabawa tribe wins this year’s crown for Hiyas sa Kadayawan during the coronation night held on August 18, 2017 at the University of Southeastern Philippines in Obrero, Davao City. 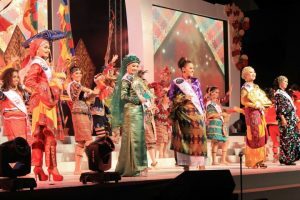 Ms. Aguan (left photo, center) is followed by Hiyas sa Kalambuan (Second Runner-up) Gifer Joy Roldan Aguio of the Matigsalug tribe (left photo, rightmost) and Hiyas sa Panaghiusa (First Runner-up) Jerlyn Dalao Macasi of the Kagan tribe (left photo, leftmost). Each receives P5,000, P3,000, and P2,000 worth of Phoenix Premium 98 fuel cards, respectively. Indak-Indak sa Kadayawan showcased 29 dance contingents from the different regions of Mindanao. 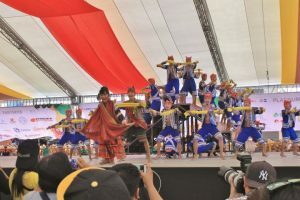 In this event, participants and onlookers alike moved and grooved to the beat as they celebrated life while engaging in a healthy competition.The different groups performed well-choreographed and theatrical street-dancing numbers reminiscent of their indigenous roots. The Sagayen National High School Performing Arts – Asuncion, Davao Del Norte wins the Indak-indak sa Kadayawan held on August 19, 2017 at the San Pedro Square, Davao City. The winner received P10,000 worth of Phoenix Premium 98 fuel cards. 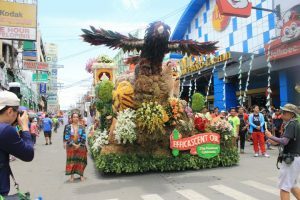 Pamulak sa Kadayawan showcased the blooming and lush flora of Davao through a parade of ornate and well-decorated floats. The competition was teeming with artistry as the locals say their thanks to the gods through their remarkable creations. 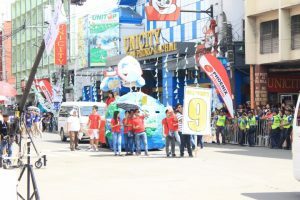 A total of 29 floral floats paraded during the Pamulak sa Kadayawan on August 20, 2017 at the San Pedro Square, Davao City. 2017 Pamulak sa Kadayawan Champion Davao Horse received P15,000 worth of Phoenix Premium 98 fuel cards.